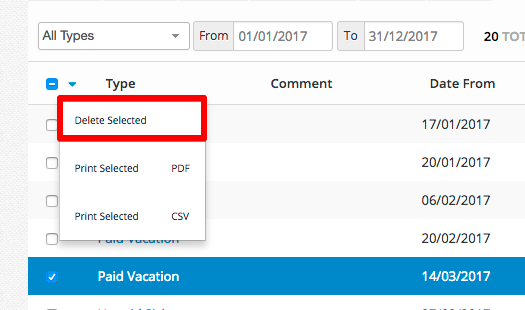 How do I remove a vacation, sick or time off record for an employee? Click into the Time Off record in question. Scroll to the bottom and click 'Delete Record'. If you can't delete the Time Off record, it will be because the Timecard for that employee for that week has been approved and locked down. This article will help explain how to unlock a Timecard so that you can delete a Time Off record.